Yes, everything to do with taxes is stressful. But this tax credit is real money meant to help people on stretched budgets, including grandparents. Yet, in Oregon, 1 in 4 families is missing out on this money. Follow the four steps below to see if the government has a check for up to $6,000 waiting for you. Please watch the video above for more information. The Earned Income Tax Credit (EITC) provides relief for some workers at tax time. If you qualify, the tax credit lowers the amount of taxes you are required to pay. If you don’t owe taxes, you get the money as a refund check. First, has a child in your care lived with you for at least 6 months? If yes, you may be able to claim the child on your income taxes. 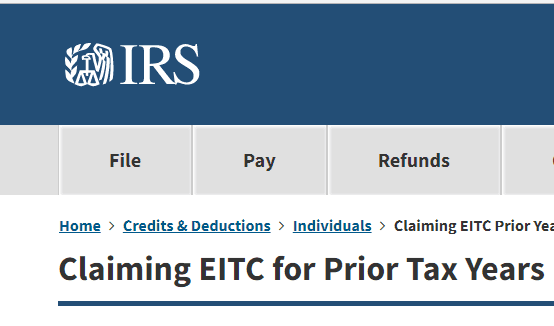 From there, there are three main eligibility requirements to claim the EITC. 1) You must have earned at least some money. This income can be from wages, salary, tips, employer-based disability, self-employment income, military pay, or union strike benefits. 2) You don’t make over a certain amount of money, (check with the estimator below). And your income from interest must be less than $3,450. 3) You must have social security numbers for you, your spouse (if applicable) and any children claimed. Key Takeaway: If you earned money in 2018 and you have grandchildren living with you, the IRS may have a big check for you. But, you must file a tax return. 1. How much money? Go to this handy estimator (click image below). Don’t worry about the details, yet. Just click and fill in how much money you or your partner were paid for work–not Social Security, alimony, etc. Click on the button and fill in the blanks. It will take less than a minute. 2. Do we qualify? Can we claim our grandchildren? The basic principle is simple: The child you are claiming must have lived with you for more than half of the year–and no one else can be claiming the child. Hear it straight from the IRS. Go to the link below and answer some anonymous questions. This step is a little more complicated than than the first one. If you need a hand, Click on the Step by Step How-To before going to the IRS webpage. When you are ready, give yourself 10 minutes to answer all the questions (scroll down the IRS Assitant page to the blue box). 3. What next? File your taxes. Here are the forms. And free help. The only way to get this money is to file a tax return–even if you don’t owe taxes. Tax day this year is April 15. 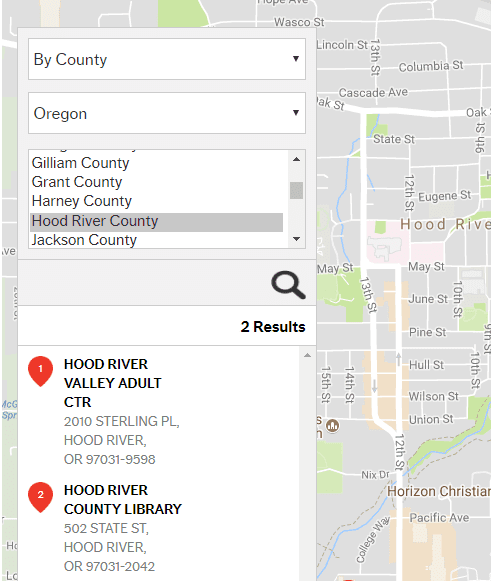 There are free resources all across Oregon. Click the button and go to the search window. Fill in your zip code or state and county to find free help nearby. (Click on the red location number in the search to see their hours.) Office hours are once or twice a week. A public library or Post Office can also help you get the necessary tax forms. Click for tax forms. Also find them at a Post Office or library. 4. Ready for fantastic news? You may be eligible for money from 2014, 2015 and 2016, too! It is not too late to file for refunds from the past few years. If you were eligble, but didn’t know about this money, find out. Remember, 1 in 4 Oregon families who qualify never get this money. Don’t let it get away! 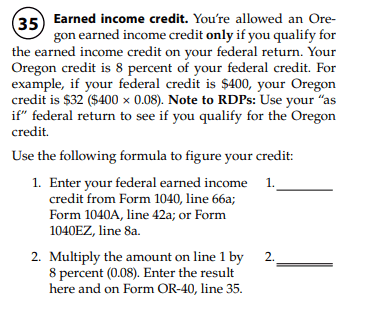 If you have a dependent who is age 2 or younger at the end of the tax year, your Oregon EIC is 11 percent of your federal EITC; otherwise, your EIC is 8 percent of your federal EITC. 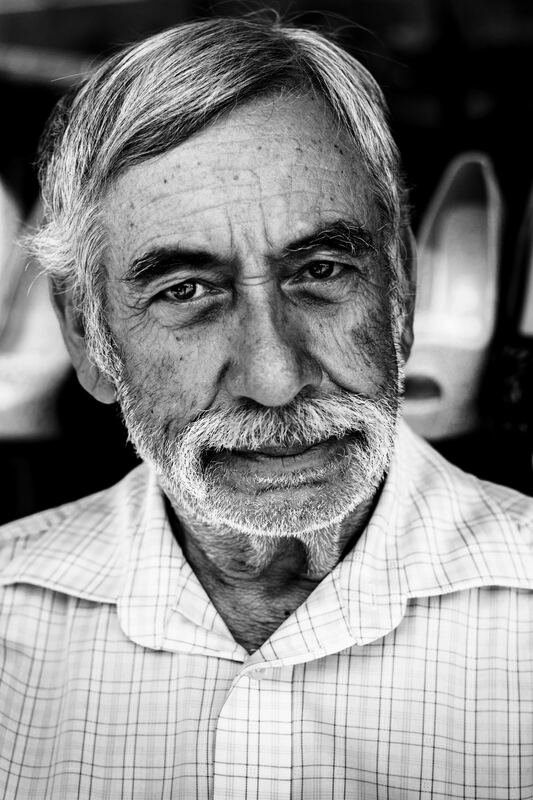 Does a grandparent need to have legal guardianship to claim a grandchild for the EITC? No, legal guardianship of a child is not a requirement to claim the tax credits. Eligibility is based on income, the age of the grandchild, and whether the grandchild lived with the grandparent for more than six months of the year in total. As long as the grandparent meets the general requirements for these tax credits, the grandparent can claim the EITC. Will claiming the EITC affect eligibility for other benefits? EITC refunds won’t count as income when applying for or renewing any federally-funded benefits, such as SNAP (food stamps), TANF, SSI, Medicaid, or housing programs. EITC refunds do not affect Social Security or Medicare benefits. For resource or asset tests, EITC is not counted for 12 months after the month the refund is received. In a three-generation household, what happens if there is a change in the parent’s ability to raise the child due to unemployment, loss of income, military deployment, or divorce? The parent is still eligible in these circumstances to claim the child for the tax credits if he or she lived with the child for more than six months of the year and had earned income. Time spent on a military deployment is considered the same as residence with the child, so soldiers do not lose eligibility for tax benefits. 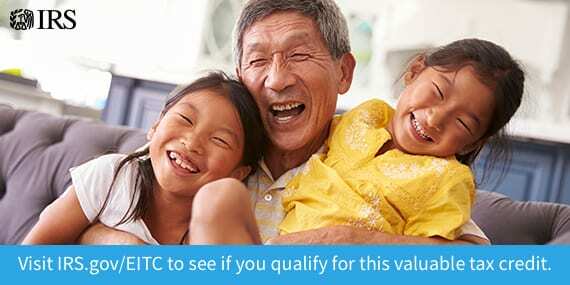 Who is eligible for the EITC in a three-generation household when both a child and parent live with the grandparent of the child? In a three-generation household, only one tax filer can claim the EITC, even if more than one family member works and is otherwise eligible. A working parent living for more than six months of the year with his or her child has priority to claim the tax credits. If the parent did not work or chooses not to claim the EITC, an eligible grandparent may claim these credits, as long as his or her adjusted gross income is greater than the parent’s. In a three-generation household, what happens if the parent can no longer work and raise the child due to illness, disability, or incarceration? If the parent has been absent or has not worked, a grandparent who lived with the child for more than six months total during the year and has earned income may qualify to claim the credits. Income from retirement pensions and Social Security benefits are not earned income for the EITC. Great. But I have more questions. Or go to the ultimate authority, the IRS. Here is their Frequently Asked Questions page. Still skeptical? Check these resources. Click here and choose from drop down choices in the menu. Did you get money back? Share your story.